If you watched the royal wedding of Prince Harry and Meghan Markle, you no doubt took note of the bouquet she carried. 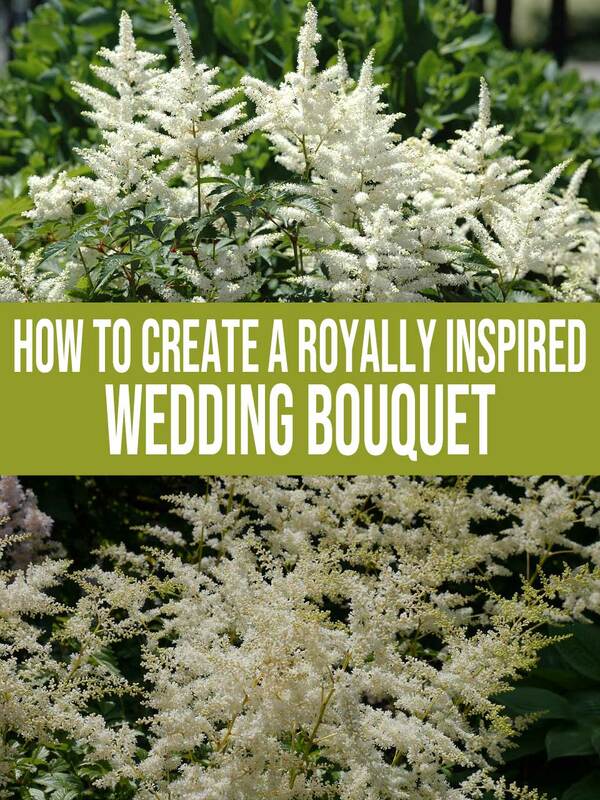 If you loved it and would like to learn to make your own royally inspired wedding bouquet, you need to check out this video. It’s a step by step guide that teaches you how to put together a fabulous wedding bouquet like the one Meghan carried. Even if you have never attempted to make one before, this video shows you how to create the look. Just imagine how quickly and easily you will be able to design a wedding bouquet like this for yourself or your clients, by implementing just a couple of the design tips and tricks shown here. Whether you are a seasoned pro or a newbie designer, this short video addresses many of the questions that you may have about creating your very own royally inspired wedding bouquet. I think you are going to really enjoy this video, especially if you love this simple, yet elegant look. Watch and see if you feel the same way I do. And while we’re on the subject, all of the flowers used in this bouquet, including astilbe, spray roses, lisianthus, roses, Veronica, alstroemeria and asparagus fern, can readily be bought online. Sites like FiftyFlowers, BloomsbytheBox and GlobalRose all carry the flowers used in the video. They are the companies I recommend because they’re the ones that I’ve had personal experience with. There are others that look great as well, but I haven’t tried them. If you just need a small number of high-quality flowers, a local florist would be your best bet. If you want to substitute or add some silk flowers, you can find a terrific selection online at NearlyNatural and at many craft sites like HobbyLobby, or by ordering them through your local florist. One other bit of advice, if I may. If you are using silk flowers, I always suggest mixing in fresh greens whenever possible, as they will help to make your bouquet appearing more lifelike. Okay, to start on the right foot, I’ve got a confession I’ve got to make. In truth, the main reason this site exists is a selfish one. See, I’m sort of addicted to floral design tutorials (like the royally inspired wedding bouquet vid you just finished up with), and I honestly just wanted a place where I could re-watch all of my favorites under one roof. With that said, I see a lot of opportunity in creating this site. I just want to be transparent here. So keep in touch! I will keep sharing great videos about plants, flowers, and weddings… along with countless other things. And as always, your comments are very much appreciated. So tell me what you thought of the royally inspired wedding bouquet video in the comments section below.